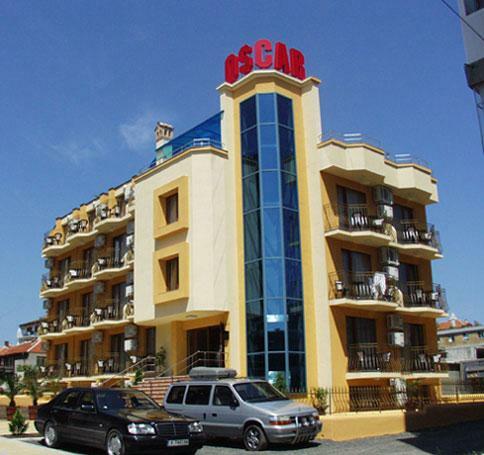 Location: Oscar hotel is situated in the new part of Nessebar, near the market place, 200 m. from the south beach. Accommodation: The hotel offers 2 apartments and 30 luxoriously appointed rooms (2 + 1), each with air-conditioner, balcony, mini-bar, TV, telephone, WC/shower, hair-drier.Each apartment has a fully-equipped kitchen, living-room, bedroom, luxurious bathroom and 2 TV sets. A spacious cafe on the top floor. No restaurant or breakfast-room. I have travelled a lot and have seen and stayed in many hotels. Oscar Hotel surpassed our expectations as we booked it from abroad with my partner and we didnt know what was to expect apart from the photos online. When we arrived the people were friendly, because we managed to get the special offer of 17Euros per night for a double room we were prepared for the worst. Despite all our worries we got the Best room. 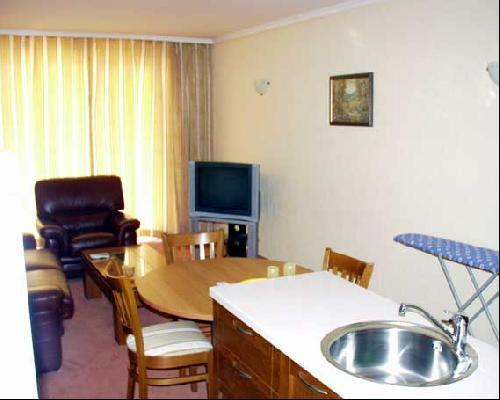 With cable TV, A/C unit, double bed and an extra bed. 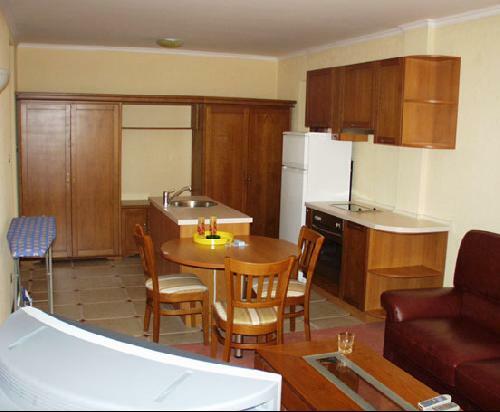 The room was equiped with everything a holiday maker would expect to find ie: fridge with a normal size etc. Bathrooms were clean and tidy, room service was performed on a daily basis. I could not recall how many times they have changed the sheets and towels as we were on a holiday and we really didnt care, but they were always clean and freshly smelling. We were so pleased with the hotel and the holiday as a whole that my partner (it was his 1st time in Bulgaria) suggested we do that this year as well. Hopefully they will have available rooms for us. They offering apartments (2 rooms, 2 TV sets, full kitchen, and a hair dryer). This is so not true. All you will get bit's one little room about 8*8 feet, no kitchen or even living room. What we got upon arrival was one (maybe 8 * 8 feet room.I did not know where to put my two suitcases; refrigerator was so small that we barely fit a bottle of water and juice in there. We did not get what was promised even close. I got downstairs (there were no elevators or escalators, they did not let us use one that was available for bar customers on the same 5th floor with us) we had to carry stroller, two large suitcases upstairs ourselves. So, I got downstairs and told the receptionist that we paid for different room with what ever the tour agency offered. She said that in our paper that they printed out saying that we have one double room and it’s what we got. They are very rude there and she made it seem like she did not understand me. What is one double room? Double? It is ridiculous how in Europe they full American tourists!!!!! We were there for eight days and beds (not beds but just one sheet) was changed only ones because my son had an accident when he was napping. I went downstairs and asked for sheet, she said that cleaning lady has left for today (it was only 3 pm) and she can not do anything. I had to wash it myself and hang it on the balcony. Towels were changed only twice when they were completely soaked and smelly (only two towels were available) there was no toilet paper available when we arrived so I had to come downstairs again! And ask for it (the rolls were so small that I had to ask for it every two days). The service and rooms were so not like they promised. I am disputing a charge. Please do not ever book this hotel! !